A famously haunted city. A hub for performing arts. A town full of creepy old houses. It’s not really any surprise that these elements all come together to make New Orleans a major destination for those seeking live-action jump-scares and gross-outs. 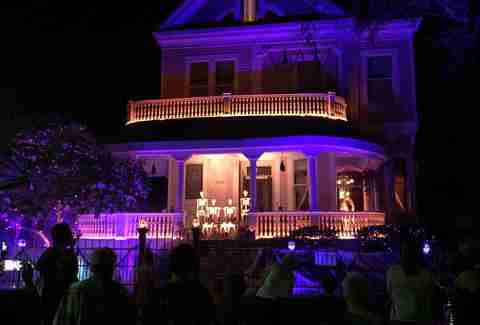 If your blood pressure needs a jolt, check out one of our bone-chilling haunted houses. Always wanted to ride in a New Orleans parade? This is an easy way to do it. The price, $150, may be steep, but it buys you a seat on a mule-drawn carriage and a whole bunch of throws. You provide your own costume. The parade winds through the French Quarter, beginning and ending at Molly’s at the Market (one of the only legit locals’ bars in the French Quarter), with a stop at Erin Rose in the middle where the costume contest will be held (only paid participants may enter). If you just want to watch, get to somewhere between Molly’s and Erin Rose around 7pm on Friday night (pretty much anywhere on Decatur is good, though Bourbon will also work but be a bit later, and when in doubt, just grab a street beer and wander in the direction of the noise), and you’ll be golden. The Endless Night Vampire Ball is an unabashedly high-end steampunk/goth/dark masquerader's delight. The organizers are deeply protective of the event’s aesthetic and as a result, it looks, feels, and sounds like an event straight out of a film. Whether you’re simply cosplaying as a reborn Edwardian dandy or a Baroque werewolf or you’re deep into the subculture, all you need is a costume and a ticket and you can immerse yourself for the evening. Red Mass is at midnight, so don't miss it. HNO is a legend in the LGBTQ+ community: a 34-year-strong event series that raises money for Project Lazarus New Orleans, an HIV/AIDS support organization that has been working on the ground since not long after the disease got its modern name. The events under the HNO umbrella include a black-tie ball at the Hyatt Regency on Friday night, the city’s most vibrant Halloween dance party (costumes mandatory!) at the Contemporary Arts Center on Saturday night, an afternoon dance outdoors at the Crescent City Park on Sunday, followed by a big ol’ New Orleans Second Line through the Quarter to the corner of Bourbon and St. Ann. Tickets are open to the public, just get them early (especially for the indoor events) as they do sell out. There is actually quite a bit of family-friendly stuff that happens in New Orleans around Halloween -- all sorts of little community fairs and church pumpkin patches and such, not to mention some of the world’s best trick-or-treating turf -- but the premier family to-do is the Boo at the Zoo at the Audubon Zoo. 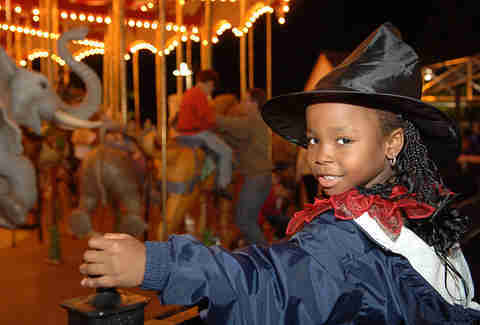 The zoo stays open for extended hours, sets up games, live performances, and all sorts of decor, and invites families to come in costume to join the celebrations. The Audubon Insectarium also gets into the spirit with Crawloween, October 27-28, which highlights some of the grossest little critters in their arsenal, and the Audubon Nature Center out in New Orleans East is having a Bat Festival on October 27. 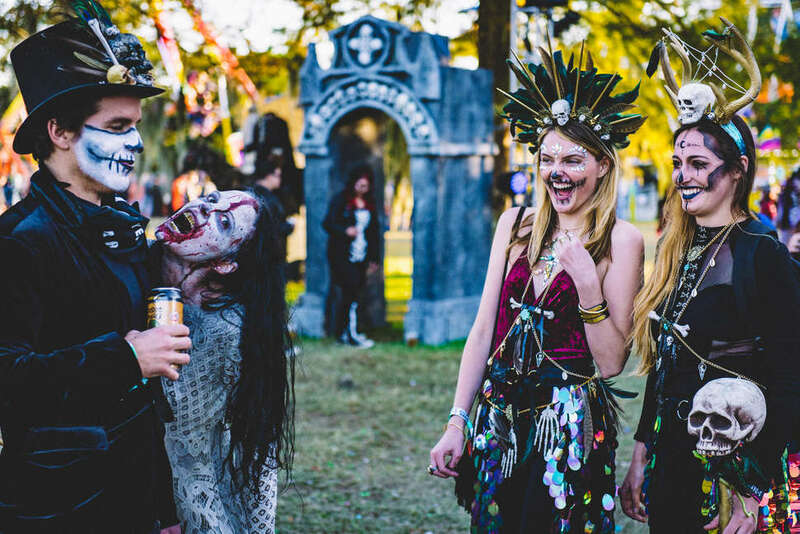 The folks at Voodoo Authentica, as well as other practitioners of this actual religion and adjacent traditions, aren’t big fans of the corporate usage of the name of their faith for certain non-faith-related events, and hold their own Voodoofest on Halloween each year. The goal is to explain their belief system to outsiders and demystify some of its history and popular misconceptions, while also offering a glimpse into some of its more beautiful and meaningful aspects. The event includes a series of talks and lectures by local historians and ordained members of the priesthood, as well as dance performances, a drumming workshop, and an ancestral healing ritual to which all are invited. Pop in and have a look or a listen; you’ll definitely learn something and maybe even contextualize some of the other traditions you’ll see during Halloween. Drinking in the street is legal in New Orleans, and thus partying in the street is de rigueur, even on non-holidays (that’s just simple math, y’all), but on Halloween, the city dials it way up. You’ll find costumed throngs of street revelers in the expected places: throughout the French Quarter, hubbed on Bourbon Street (the area around Bourbon and St. Ann is home to a number of gay bars and is therefore the de facto LGBTQ+ party HQ; heading upriver from there, you’ll hit tourist central within a couple of blocks). 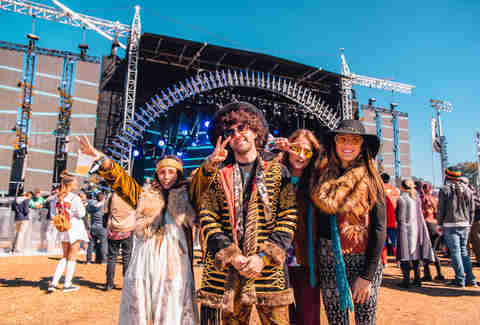 You’ll also find a party on Frenchmen, where locals will be dressed to the nines and enjoying the live music pouring out of the bars along the strip. Uptown’s Freret Street typically draws crowds, also -- usually a mix of neighborhood families and college kids, transitioning from the former to the latter as the night marches on. There are no real rules at any of the above, other than don’t be a jerk and do wear a costume. Uptown’s fabulous little indie theater shows this campy cult classic monthly, but there’s something special about getting decked out as Janet-in-lingerie or Dr. Frank N. Furter on Halloween and doing the Time Warp with the best of ‘em. There are two showings, at 10pm and midnight, with a prop pack available for just $5 along with your ticket. If you’ve never seen an interactive showing of The Rocky Horror Picture Show, you won’t get a better intro than this one. You want terror? You want terror? 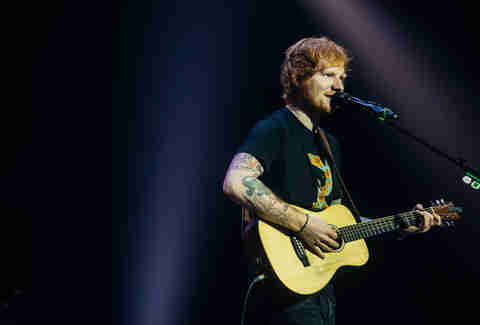 Well, Ed Sheeran himself is going to be crooning in the Superdome on Halloween night, and if that Suffolk accent and that scruffy ginger beard and that tender guitar don’t leave you trembling in fear, I’m just not sure what will. If you’d like to keep your lady to yourself, you might also consider Galactic at Tipitina’s, Quintron and Miss Pussycat at One Eyed Jack’s, or Goatwhore at Southport Music Hall just over the Jefferson Parish line, all on Halloween night. South Louisiana is, at heart, a deeply Roman Catholic place, and even in all of our ridiculous revelry, we tend to follow the church cycles of feast and fast. Halloween, or All Hallow’s Eve, is paired with All Saint’s Day, sometimes called La Toussaint around here, from the French. On this day families head out to their family tombs in the famous above-ground cemeteries to spruce the place up. Weeds get pulled, new flowers get planted in the pots, prayers are said, and sometimes bands even play. Nearly all of the local Catholic cemeteries offer Catholic masses at some point during the day. All are welcome to watch, but remember that you cannot take communion in a Catholic ritual if you aren’t a baptized or converted Catholic (if you’d like a blessing, simply join in line with everyone else during communion time but cross your arms over your chest when you get to the front -- the priest will gladly bestow one). The Sisters of Perpetual Indulgence are an international sisterhood of LGBTQ+ (and allied) street performers and performance artists and general rabble-rousers who raise money for charities and call attention to issues of sexuality and gender-based intolerance. They do their own All Saints Day thing in New Orleans, starting at Mags 940 bar, making a stop to honor the departed saints at the New Orleans AIDS Memorial in Washington Square Park, and then meandering through the French Quarter. Participants are encouraged to bring a memento of a person they’ve lost for the mobile altar (a photo or trinket is ideal) and to costume as they feel called. Like all proper New Orleans-style remembrances of those lost, it’s one where sadness and joy twist their way together and it’s worth seeing. So the “Day of the Dead” is a bit of a misnomer -- in most Latin American countries, this All-Hallows/All-Saints-adjacent celebration lasts from October 31st to November 2nd, give or take, which allows for a bit of wiggle room, and this inaugural festival, held by the Hispanic Chamber of Commerce of Louisiana, will be held on the Saturday after Halloween out at the Baby Cakes field, allowing families to keep the holiday celebrations going a bit longer. There’ll be all kinds of family events on offer: music, food, shopping, and all sorts of entertainment, as well as a costume contest and an ofrenda (an offerings altar), where the greater community is encouraged to bring mementos of those who have passed. Megan Romer is a contributing writer for Thrillist.